Trying to manage your own Google Ads account can be overwhelming, the multiple campaign types, bidding options and targeting methods is enough to intimidate anyone who wants to manage their own campaigns. I’ve been working in digital marketing for over 5 years, predominantly in Paid Search, and I’ve helped a multitude of small to medium size businesses improve their PPC performance. So, I decided to use my experience to help anyone who wants to understand Google Ads a little more clearly and save precious time and money in the process. I’ve come up with 11 top tips to help improve your Google Ads account performance and (hopefully) increase your Return On Investment! Google Ads offer many ways to advertise your business. From Search Network adverts to video, there are several options for you to choose from. 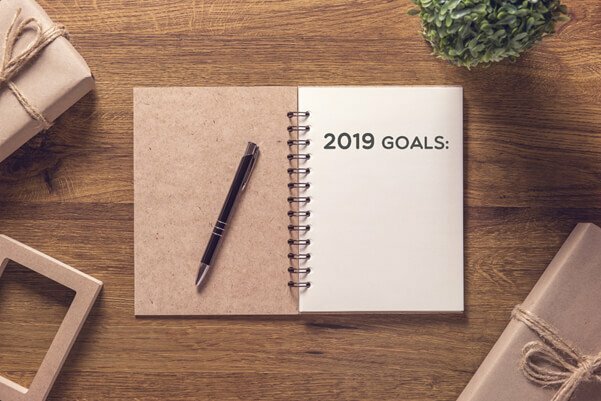 My first tip is to think about your overall business goals before you even begin creating campaigns. Ask yourself ‘What do I want to achieve from this campaign?”. Having a solid plan in place before creating and running a campaign will make it much easier to optimise and grow your Google Ads revenue. Over time your landing pages may change; this could be due to the removal of a product or service from your website or the implementation of redirects for marketing purposes. It is of great importance that you ensure all of your landing pages used for Google Ads are up to date and do not redirect (301 or 302 response codes) or even worse, return 404 errors with no information on the page, which will lead to Google disapproving your advert. If you use auto-tagging to handle tracking, you will notice that any clicks on adverts add a URL parameter called Google Click Identifier (GCLID), which enables you to see how effective your Ads campaigns actually are. If your landing pages redirect this can stop the GCLID from being added to the landing page URL, meaning that your traffic and conversions may not be recorded as Google Ads traffic in Google Analytics. In my experience, you will see a large increase in ‘Direct traffic’ as there is no way of Google knowing the correct source of this traffic. In an advertising environment where it is difficult to stand out from the crowd, this change can give you a competitive advantage in your market. If your competition hasn’t yet updated their adverts, then you will have a larger and more visually appealing alternative than them. Ensuring that all the above features are used as efficiently as possible will allow you to pre-qualify traffic more efficiently, ensuring that all clicks on your adverts are as relevant as possible. The more information you can provide to a prospect before they click on an advert, the more you will be spending money on the correct type of traffic, therefore increasing the likelihood that these users will enquire/complete a purchase. Taking the time to ensure you have a structured hierarchy when building your campaign will save you management time in the future and even a reduction in average costs per click for your adverts. When creating campaigns and advert groups, ensure that they are as relevant as possible, and themes are grouped together. It can be tempting to bundle multiple keywords into one advert group – this will only increase the amount of time you have to spend on optimising these campaigns/advert groups in future. One trick is to create Single Keyword Advert Groups, or “SKAG’s”. This allows you to have total control over bids and adverts shown for specific keywords, alongside helping to decrease the amount you pay per click. SKAGS allow you to tailor your adverts more relevantly to keywords/landing pages, thus increasing your ‘Quality Score’ (Google’s rating out of 10, that forms 50% of where your adverts will appear on the Search page). If you don’t build and manage PPC campaigns daily like I do, this one may seem like an obvious step. 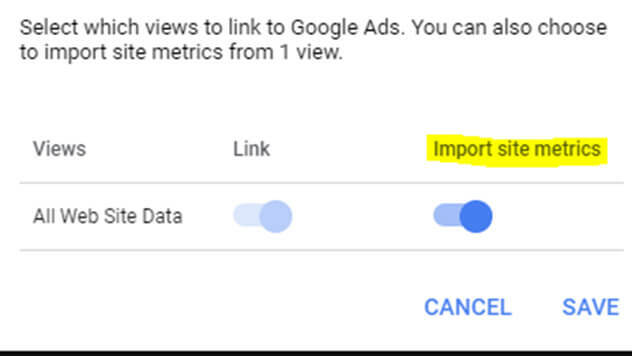 Well, when linking Google Ads and Google Analytics it’s important to keep in mind that this will not automatically import metrics such as ‘Bounce Rate’, Average Session ‘Duration’ and ‘Pages Per Session’. These are key metrics which allow you to understand how your Google Ads traffic is interacting with your website. You will be able to make data-driven decisions to your advertising to improve performance. For example, you may have an advert that is generating a good number of clicks, however the bounce rate for the advert is high or the average session duration is low. 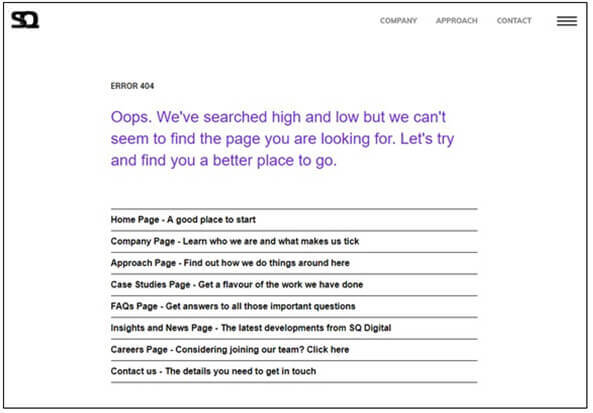 This information gives you an indication of where an issue may lie, it may be that your landing page is not relevant to the searches that triggered your advert, the advert itself gives incorrect and/or outdated information (or information/offers in the copy are not replicated on your website) or your landing page itself may not be working. Potential customers do not always convert on their first visit to a website, so you need to make sure that your brand is still at the forefront of people’s minds, even when they are not on your website. You can do this by running a Google Remarketing campaign alongside your Google Ads campaign. Remarketing allows you to show specifically designed banners to prospects, who have visited your website but have not yet enquired, as they browse other websites on the internet. If you own an ecommerce website, you should also run a Dynamic Remarketing campaign. The benefit of Dynamic Remarketing is that you can show prospects the specific products that they have been viewing on the website, rather than static banners. This increases the relevancy of your adverts and can lead to increased conversion rates when compared to static Remarketing. Remarketing Lists for Search Ads allow you to add bid adjustments to prospects who are held on your remarketing list, as they search for your keywords on Google. This is slightly different to normal remarketing as the prospect is still actively searching for your product/service, meaning that the chances of them converting is higher than standard Google Remarketing. A conversion is a valuable action that is taken on your website; a contact form submission, phone call or even a purchase through the website. Setting up conversion tracking is something that you will probably need assistance with as amendments to your website will be needed to allow for the tracking of certain actions; your website developers should be able to assist you with this. Conversion tracking is the best way to analyse the performance of your ads, and I would recommend having all the tracking set up and tested before enabling a Google Ads campaign. Successful Google Ads campaigns are all about testing and tweaking. In advertising, you do not always know if something is going to work or not until you give it a go. Jumping into the unknown can be an unnerving experience, but when a test works well it is worth all the effort. Google makes testing different bidding strategies easy with the use fo their automated tools. These allow you to quickly and efficiently change the bidding strategy that your campaign uses based on the goal you have in mind. Automated Bid Strategies available in Google include the following. Target CPA – Helps you generate the most conversions possible while reaching your average cost-per-acquisition (CPA) goal. Target Return on Ad Spend – Helps you generate the most revenue from your campaign whilst maintaining a target Return On Ad Spend. Maximise Conversions – Sets bids to generate the maximum number of conversions for your set budget. Target Search Page Location – Helps you get your ads to the top of the page or on the first page of search results. Enhanced CPC – Automatically increases or decreases your manual bids to help increase conversions. Target Impression Share – Automatically sets bids to target a certain percentage impression share. Utilising the bidding strategies can save you time when managing campaigns, as Google takes care of the tedious tasks such as bidding, thus allowing you to spend your valuable time on the more important tasks such as your customers and growing your business. When running Google Ads campaigns, it is important to view metrics that mean something to you. For example, if you are running a display advertising campaign where your main goal is brand awareness, you should ensure that you are looking at the correct metrics to assess the performance of the campaign. In this example, you wouldn’t be as interested in Conversions generated from the campaign so you wouldn’t want to focus on metrics such as Conversion Rate and Cost Per Conversion. You would be more interested in advert impressions, frequencies that adverts were shown at and where your adverts appeared. These metrics would give you the information you need to analyse performance by making sure that people are seeing your adverts at an effective rate, in the correct places. You need to remember that any clicks on advert extensions are charged the same as a click on your base advert, clicks on advert extensions are not cheaper or free! For a more in-depth guide to utilising advert extensions to their fullest, find our blog here! Making the most of negative keywords can stop your campaign from wasting money on adverts that appear on irrelevant searches.,. For example, you have an advert group specifically for the Phrase Match keyword “Organic Skin Products”. Your adverts can appear for keywords such as “Organic Skin Products for Men ”, however you can also appear for “Free Organic Skin Products” which isn’t the type of keyword that you would like your adverts to appear for. Negative keywords are a must when you are utilising different keyword match types such as Phrase Match and Broad Match keywords. These match types can be very lucrative as they can be used to find lower volume, high performing variant keywords that you may not think to use in your campaigns, however they can also lead to irrelevant clicks on your adverts if you don’t utilise negative keywords. Google Ads is an invaluable tool for SMEs when well maintained and effectively managed. The above information is only the tip (or should I say 11 tips!) of the iceberg when it comes to managing Google Ads campaigns. One of the main challenges of managing your own campaign is having the time to ensure your campaign is performing well. Hopefully, the above tips will help improve your Ads performance and save you some heartache. If you are interested in speaking to a Google Premier Partner about Paid Search Management, you can get in touch with us through our website or by giving us a call on 01524 580 777 for more information.